Keep an eye on your accounts and investments — including mortgages, personal loans, super, property, shares and credit cards. Then create customised searches for anything you like. We'll send out a weekly snapshot to keep you posted on what's happening inside the app. It will show you where your money's going, how your spending is changing over time, how you're tracking towards your goals and any offers we've found to save you money. Automated tutorials at every stage will help you get started and local, in-app support is always there to help. With direct links to us, we can offer you targed advice as you need it. To help you to control your finances and maximise your borrowing power, MortgageHub has implemented a wealth management platform to make your life easier. 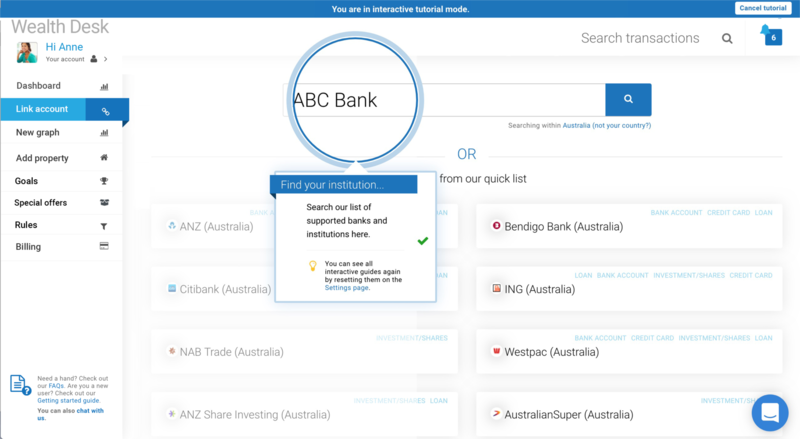 The platform allows you to connect all of your bank accounts, credit cards, loans, properties and super funds to a single, secure dashboard. 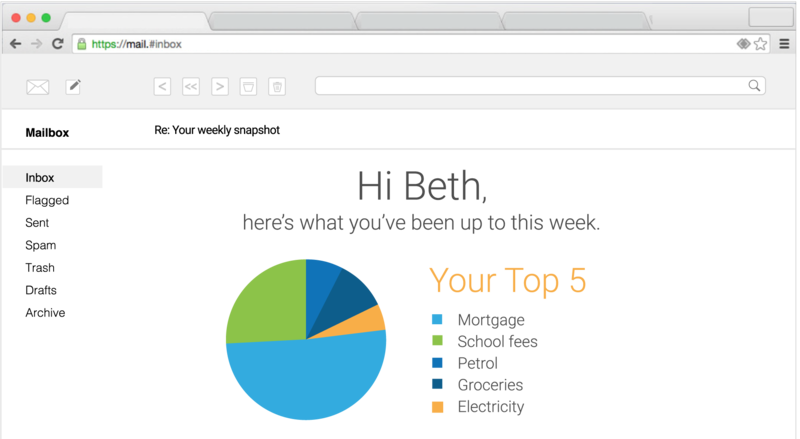 You can also create goals and reports and monitor your expenses which will be automatically categorised for you. More than ever, it’s important to track your money particularly when you’re seeking credit from a lender. 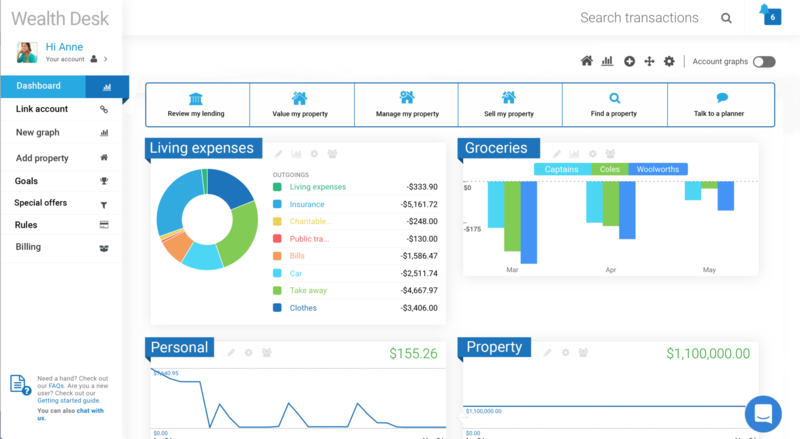 This platform allows you to see all of your money and assets at a glance. It will also proactively help you keep track and get into good financial shape. Think of it like a fitness tracker for your finances! We recommend using this platform often before and after securing finance. Using the platform also helps us to stay up to date with your needs. You can share information with us quickly which makes providing the right advice at the right time easier. You always have complete control of what is being shared and what is not. The platform can help you manage your finances and easily gather information needed at tax time. For example, you can tag all of the things you want to claim and report on them instantly. It only takes a few moments to set up and uses the same online security systems as your bank. If you need help at any stage just let us know.